Melanie Peel is Director of Students in Transition in the Division of Student Affairs. She has worn numerous hats as a loyal staff member at Tech, but none more important than in leading our Bridge to Bulldogs program. I invited Melanie to share her experience with this program and what it means for our institution. 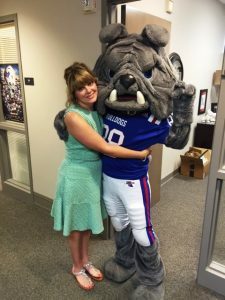 Here is her story: While most students are gearing up to begin the Fall 2016 quarter, Bridge to Bulldogs is wrapping up a very successful summer. 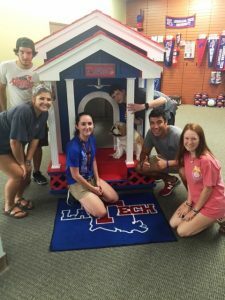 I am thrilled to be a part of a program that allows students who may have narrowly missed our admission standards of the University, to take a shot at becoming a Louisiana Tech Bulldog. Bridge to Bulldogs is in its third year of implementation and continues to grow by inviting students who were very strong high school performers and offering them an opportunity to get a jump start their college experience by taking classes in the summer. I have found it to be so funny how time seems to have a way of catching up with you! Math was never something in which I excelled and I can remember back to the 2nd grade when I first began to see math as an issue for me. I struggled from that point on throughout college and think that if Tech would have been a selective admissions institution back in MY day, I too would have been a Bridge to Bulldogs student (now a proud alum…Class of 1995 and 1997)! Now, after working for over 20 years in Residential Life at Tech, I get to work with students who were just like me, with the Bridge to Bulldog program. Bridge students are invited based on several factors including an earned overall high school GPA of 3.0 or above, basic English and math ACT sub-scores, while also meeting core high school curriculum requirements. These students are admitted conditionally to the University as long as they participate in summer classes where they enroll in a math course paired with a co-requisite supplement. Did I mention that these students are invited AND they receive scholarships for the summer??!!?! We felt like it was important for these students to know how much we believe in their abilities. 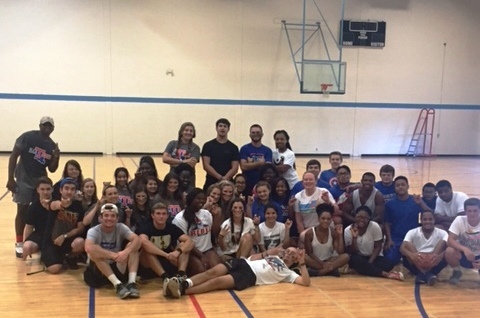 We also wanted the students to know that we want them to succeed and become Bulldogs just as much as they do! 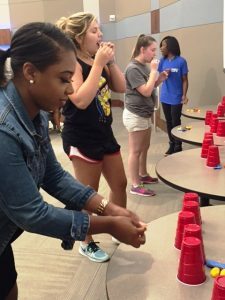 By programming structured activities around class time and housing the students together in our on-campus apartments, we focus on building time management skills, give them a glimpse of many different departments on campus, and give them a taste of college life before the masses arrive in September. Many colleagues from across campus work together to build and design content that will create a seamless program experience. Once the Office of Admissions helps identify students that qualify for the scholarship, we are off and running! First Year Experience (FYE) staff and the Bulldog Achievement Resource Center (BARC) partners with the Math department to structure course work and activities around building a stronger student. Our team meets regularly to discuss how we can benefit the students the most! It has been an awesome experience to come together across the board through academics and student advancement. The Bridge to Bulldogs program continues to build on student success by placing former Bridge students into mentoring roles. These students are hired to serve the University by recruiting students from some of the high schools they attended as well as mentoring the incoming class. We were blessed to have mentors this year that represent each one of the former Bridge classes to date! 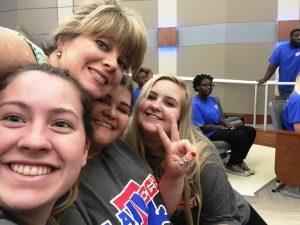 Bridge mentors are great examples for the participants of proving that with a little extra help, determination, and drive, they too can excel at Louisiana Tech. Our goal is to continue strengthening the skills that they build in the summer term so they can grow throughout their time as a Bulldog. By equipping these students with extra math skills and helping them build confidence in themselves to succeed, we believe we will continue to recruit wonderful students for Louisiana Tech and guide them through a college experience that will lead them to earning their degree.